Following Arthur Charpentier‘s example, I am going to try to post occasionally on material covered during my courses, in the hope that it might be useful to my students, but also to others. 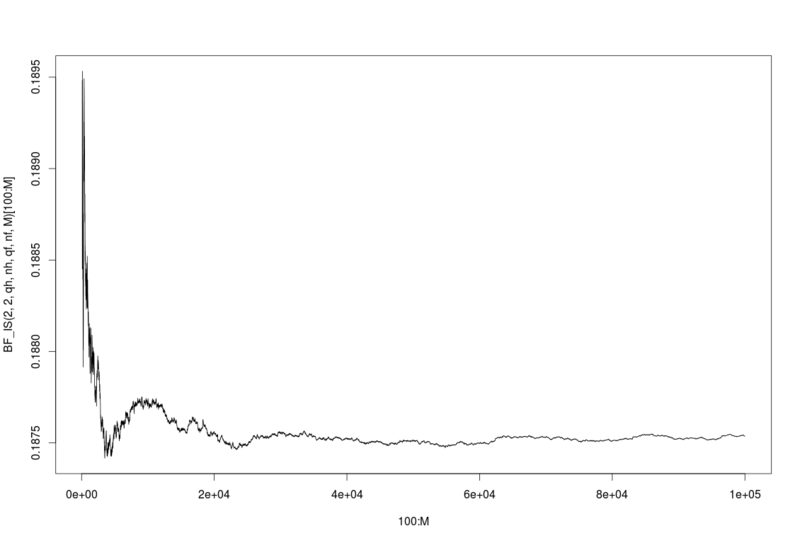 However, we are able to compute the Bayes factor analytically by using the log-scale instead. Using Jeffrey’s scale of evidence, this corresponds to “substantial” evidence in favour of model 1 (i.e. no difference between men and women). 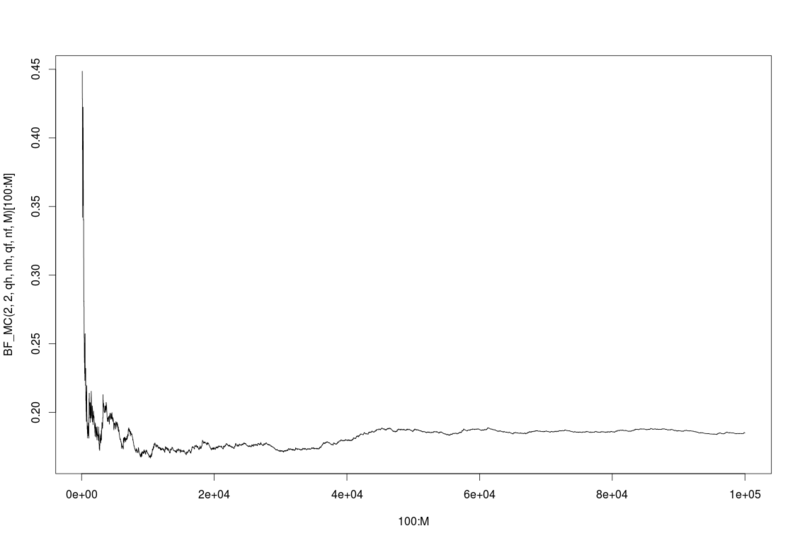 Even if we had not been able to calculate the Bayes factor exactly, we could have approximated it using Monte Carlo. 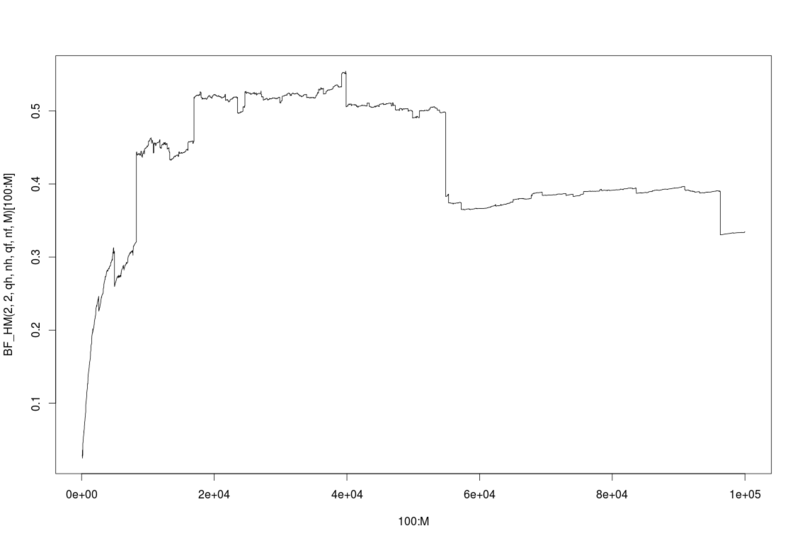 We first create two functions to calculate the likelihood under model 1 and model 2, and start with vanilla Monte Carlo. increases. It is useful to check convergence. We observe that this does not appear to converge. It is known that in general, the harmonic mean method is unreliable. This method converges. 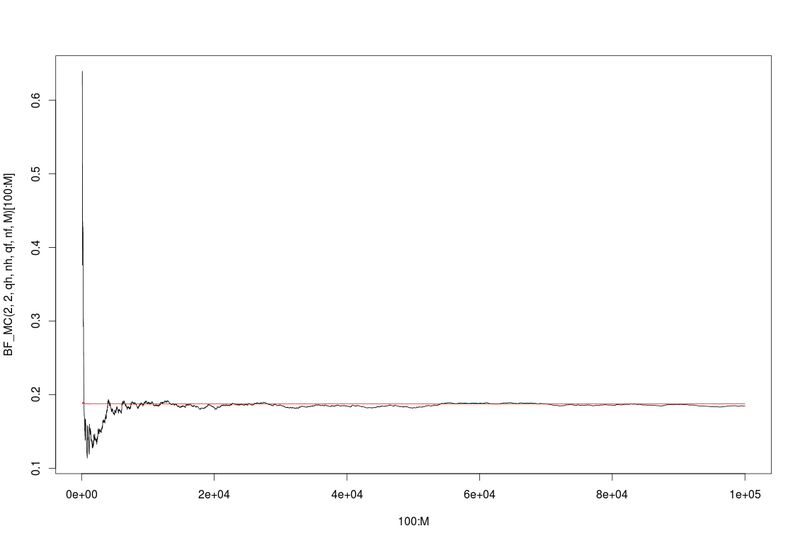 Note that the y-scale is much tighter than for vanilla Monte Carlo: convergence is in fact much faster, and we get a more precise estimate than by using vanilla Monte Carlo. This is more obvious if we look at both methods on the same graph. It is much more visible now that importance sampling is a clear winner. 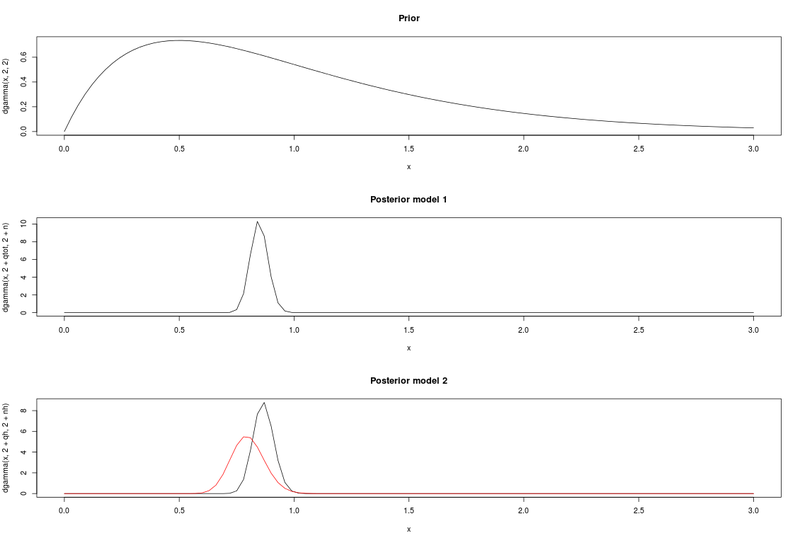 With this computation of the Bayes factor, we choose model 1: a single parameter can be used to model the behaviour of men and women. To leave a comment for the author, please follow the link and comment on their blog: Robin Ryder's blog » R.